These burgers are adapted from a Gordon Ramsay recipe. He adds loads of different fresh green herbs, but I just used what was in the house....which happened to be a block of haloumi cheese! It had been laying in the fridge for two months I think. So it was a perfect opportunity to give it a try. It's important to use the same (course) grater on all three ingredients! 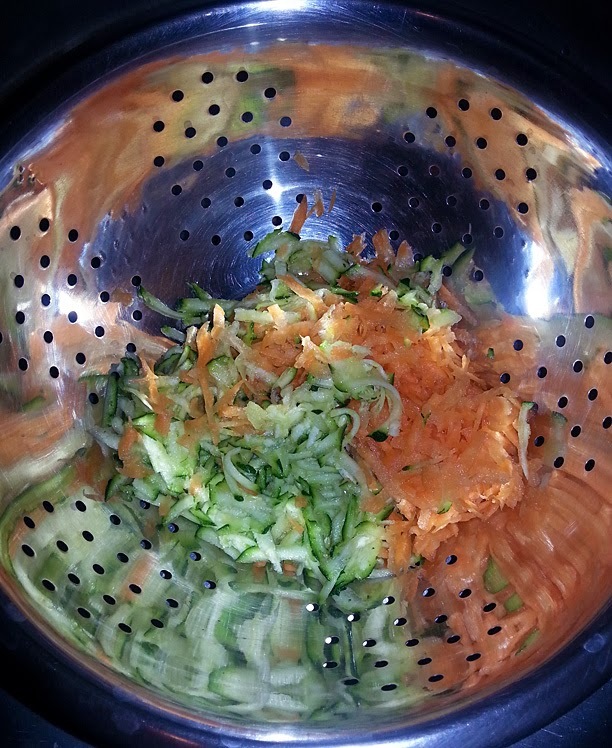 The grated carrot and zucchini go into a colander. Sprinkle them with salt and give it some time (5-10 minutes). 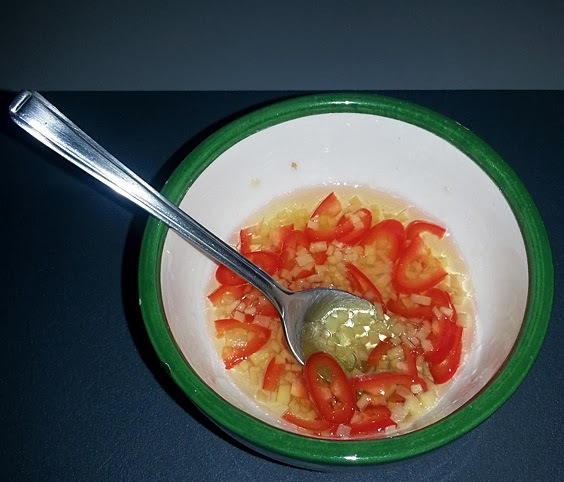 The red pepper and ginger go into a little bowl, sprinkle them with a bit of salt and sugar, then add rice wine vinegar and a bit of olive oil...give it a stir. 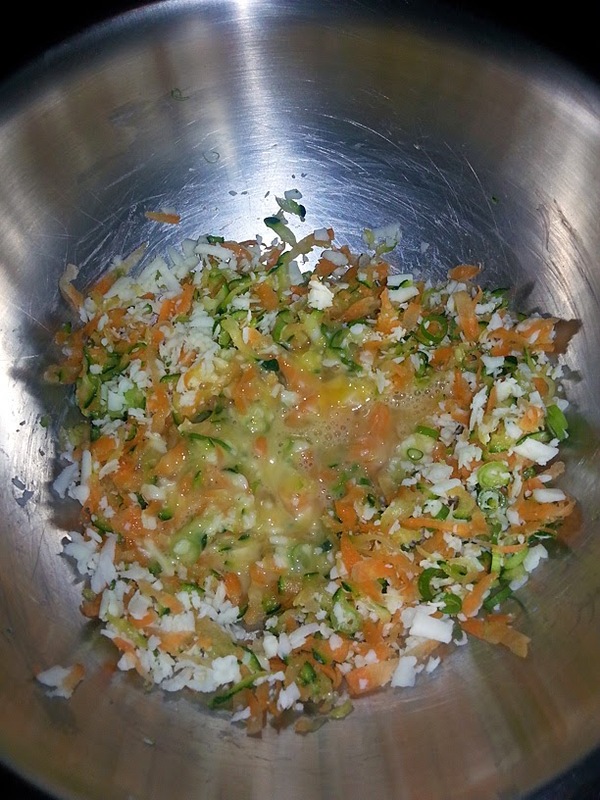 Now it's time to squeeze every last drop of liquid out of the carrot and zucchini...use both of your hands and make sure it's as dry as it can be, otherwise the burgers will fall apart. Mix this up well and shape it into 2 burger patties. 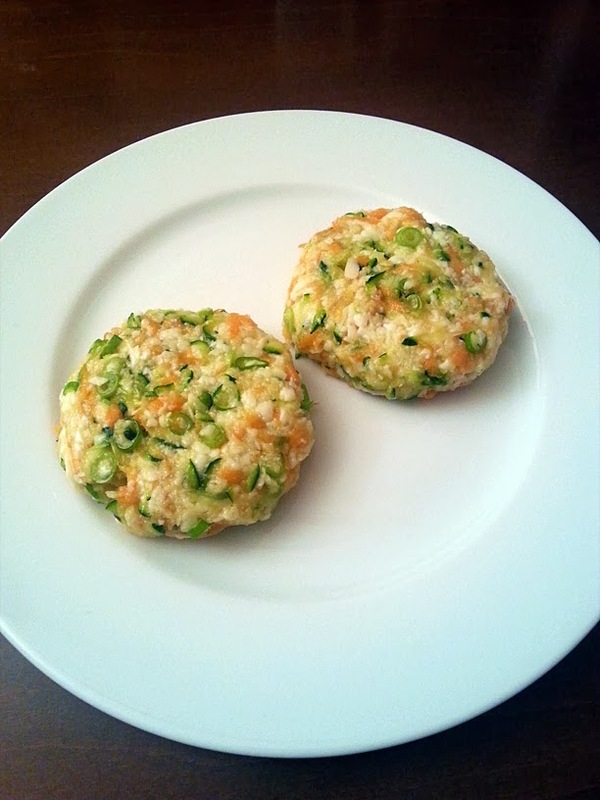 Put it in your fridge for half an hour, so the patties get a little bit firmer before baking. After that, drizzle some oil in a pan, gently add the patties and bake them on medium heat until both sides are a nice golden brown. 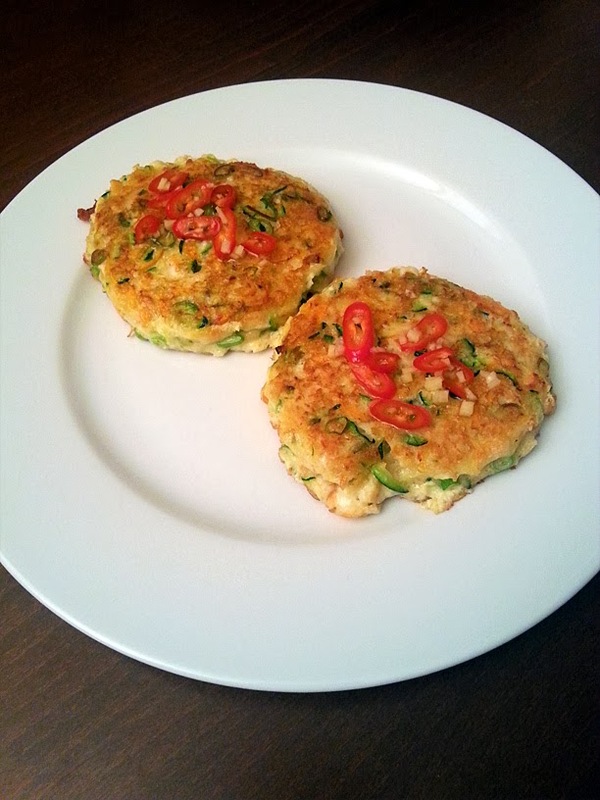 After plating them, scoop some of the red pepper and ginger out of the bowl (not the liquid) and lay it on top of the burgers for an extra kick. 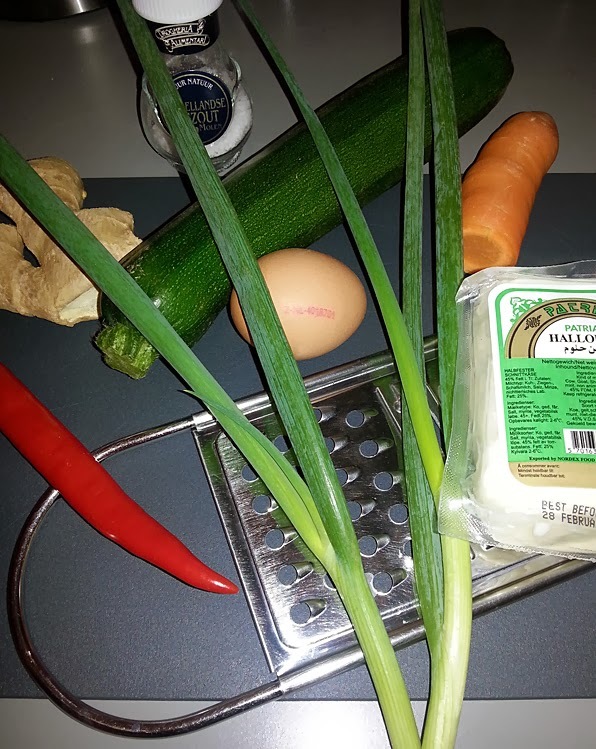 or with couscous and grilled vegetables like I did.